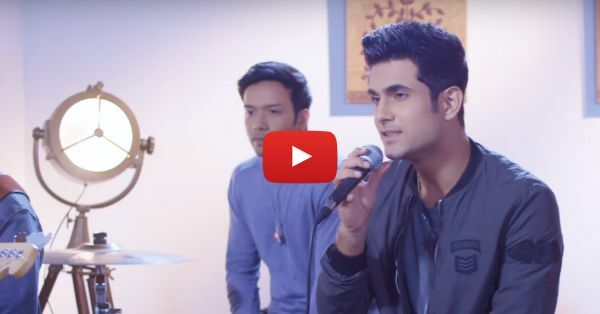 Sanam Singing ‘Ae Dil Hai Mushkil’ Will Steal Your Heart! Didn’t you just love the song ‘Ae Dil Hai Mushkil’? We totally did. It still keeps playing in our heads and we know that we’ll stick to this number for a little longer. The cover of ‘Ae Dil Hai Mushkil’ by Sanam just came out and we’re lovestruck! Sanam Puri singing our favourite song - can it get any better than this? We don’t think so! His voice is just magical and every time we listen to him sing, our heart starts beating faster. We know you can’t wait to listen to his version of the song, but we can’t stop ourselves from praising him. Okay, now go and hit that play button to get your heart stolen by this charming man…once again! Also watch: This Beautiful Love Song Will Make You Want To Hug Him Tight!